Betsy is a wife and mother of two teenage boys. Her family has lived in Lander for 11 years and she has worked in the dental field for 14 years. 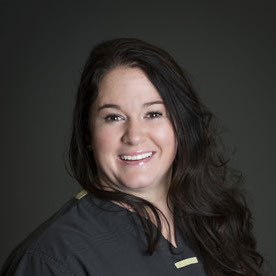 Betsy started working at Main Street Dental in the Spring of 2015. Prior to moving to Wyoming she lived in Roseburg, Oregon for her entire life. Betsy went to college at Umpqua Community College and Central Wyoming College. Betsy has enjoyed raising her boys in the beautiful State of Wyoming and is happy to call Wyoming her home. Betsy is an avid fisherwoman. She loves to fish every chance she gets. Her interests also include, boating, cooking, yard work, reading and she loves being a wife and mother. One day she hopes to be on a cleft pallet team that travels to Central or South America. Her love for Pediatric Dentistry keeps her pursuing those dreams.